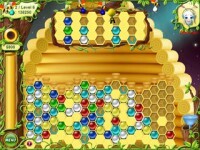 Help Beebo and his friends build hives in this fast-paced match-3 casual game. Collect colored honey then decide where to drop it for maximum bee-ficiency! 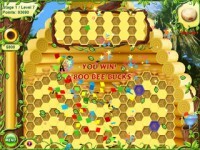 Help Beebo and his friends build hives in this fast-paced match-3 casual game. Visit new locations, earn power-ups, and decorate hives with items you purchase on "Bee-Buy." Collect colored honey then decide where to drop it in the hive for maximum bee-ficiency! Crazy power-ups and funny friends help you every step of the game! Help Beebo and his friends build hives in this fast-paced match-3 game! Tell someone about Beebo Deluxe Game! v2YnP9 Some truly prize blog posts on this site, bookmarked. u7V77M Way cool! Some extremely valid points! I appreciate you writing this article and the rest of the website is really good. ncZ0zg whoah this blog is magnificent i love reading your posts. Keep up the good work! You know, lots of people are looking around for this information, you can help them greatly. I5sBfY Enjoyed every bit of your article.Really thank you! Much obliged. Gb0RNM Enjoyed every bit of your article post. Great. jRaMDZ Really appreciate you sharing this article.Thanks Again. GDgL4V Im grateful for the blog article.Really looking forward to read more. Keep writing. SRa9IR I loved your blog post.Much thanks again. i7A1rf Im obliged for the blog.Really looking forward to read more. Fantastic. 6pxMY7 Appreciate you sharing, great post.Really thank you! Want more. Bee My Friend on Myspace.com! 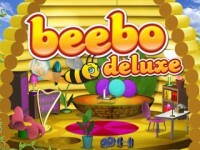 Look for \"Beebo Deluxe\"! And Bee my fan on Facebook, too!